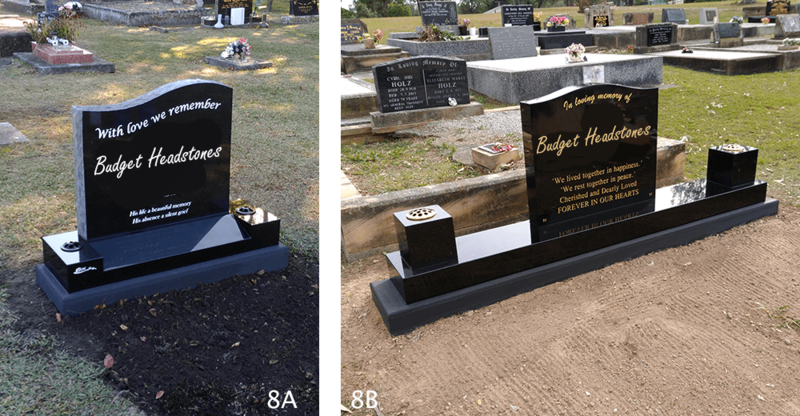 Here at Budget Headstones, we offer a variety of monuments, plaques, and headstones in a number of styles: from traditional bases to full single or double monuments. 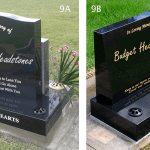 All these are available in a range of shapes, sizes and colours, and your choice of granite or sandstone. 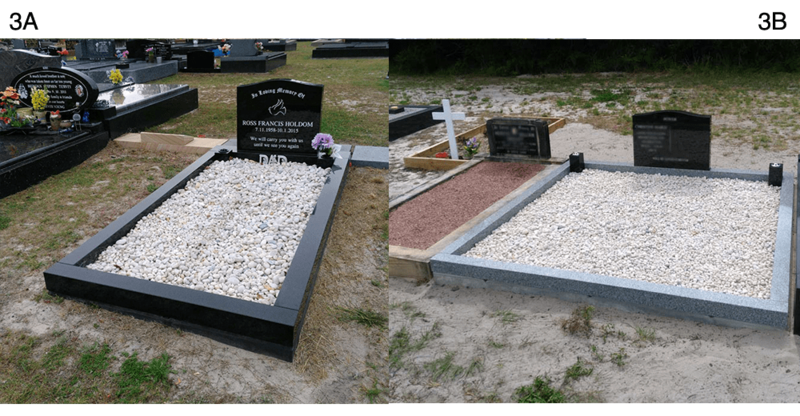 Rest assured, we go above and beyond in our work to ensure the monuments on offer stand the test of time – a lasting legacy come rain, hail, or shine. 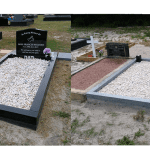 Looking to put a headstone on a great uncle who passed 48 years ago and is in an unmarked grave. Steven was very helpful, prices are budget prices, service is top quality. 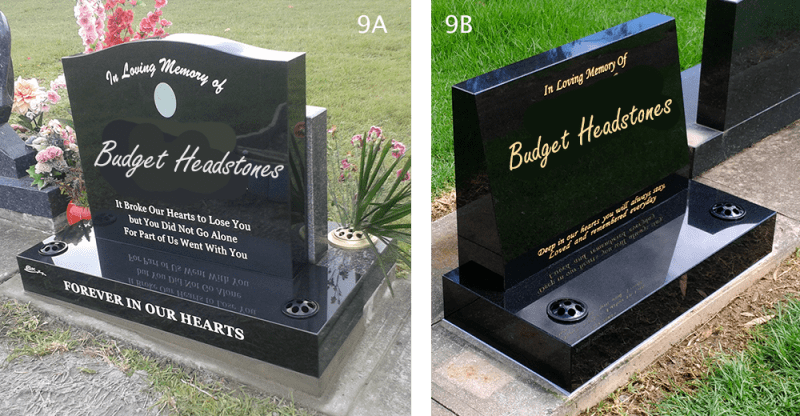 I’ll be back when i need the next headstone! not too soon though. Meeting this deadline would not have been easy, yet your determination and effort made it happen. I was very impressed with the courtesy & understanding you displayed with each and every request we made, but equally impressive was your prompt call backs whenever we left you a message. This is a rarity today. 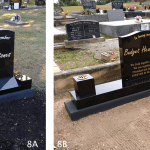 We are thrilled to bits with our headstone, and had a lovely visit on saturday. Thank you once again for everything. 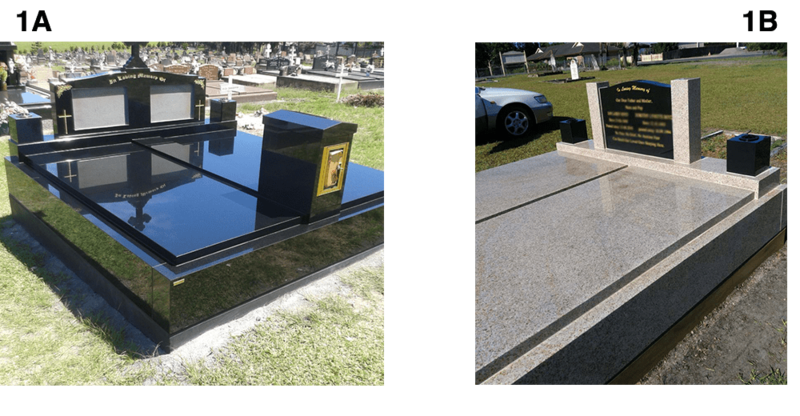 I would like to thank you dearly for your magnificent effort in having my Fathers crypt coverplate engraved and installed before Xmas. It meant a lot to my mother and the look on her face when she saw it in place, was heart warming. 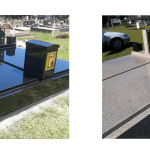 Great service and quality, also the cheapest prices I found anywhere.